More and more of us are spending time at WORK in our home offices (or away from home). The lines are blurred between work and play and our office spaces need to support functionality AND comfort and even a bit of fun. 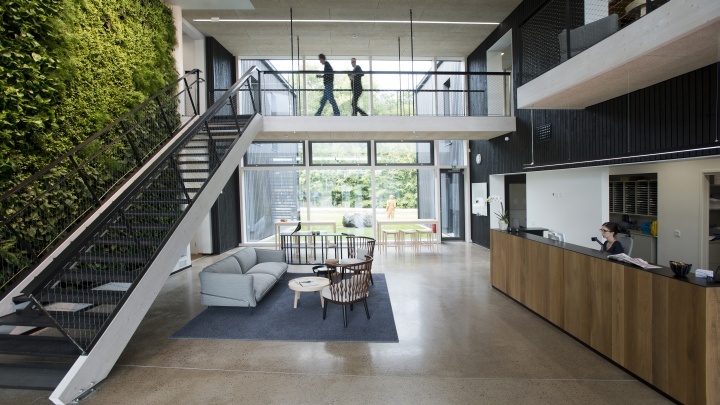 The guest post below highlights 5 uniquely designed office spaces. 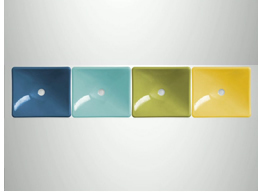 One is sure to hit your personal ‘sweet spot’ of what you would want your office space to look and feel like. Of particular interest to S Interior Design is The Pod, and the Rooftop Office. If you prefer the minimal look and would like a crisp white office with a difference then add a splash of green and enjoy the twist! All draws come with reversible fronts in a choice of colours and effects including striking lime green and traditional beech. Plus you can design your cube bookcases using the same interchangeable door fronts. View the full range of office furniture and accessories at Viking from £49.99. 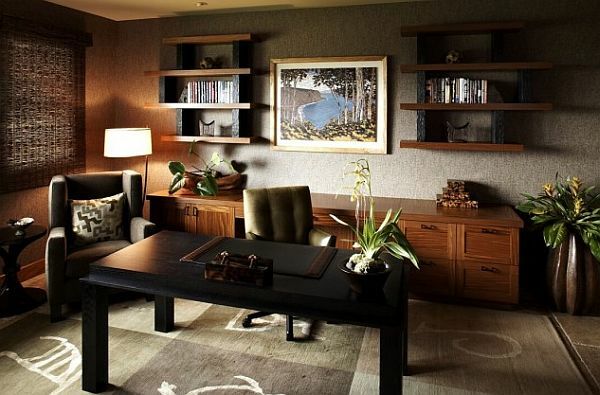 If you like your home comforts and prefer to feel at home in your office then this traditional office décor may suit your style. 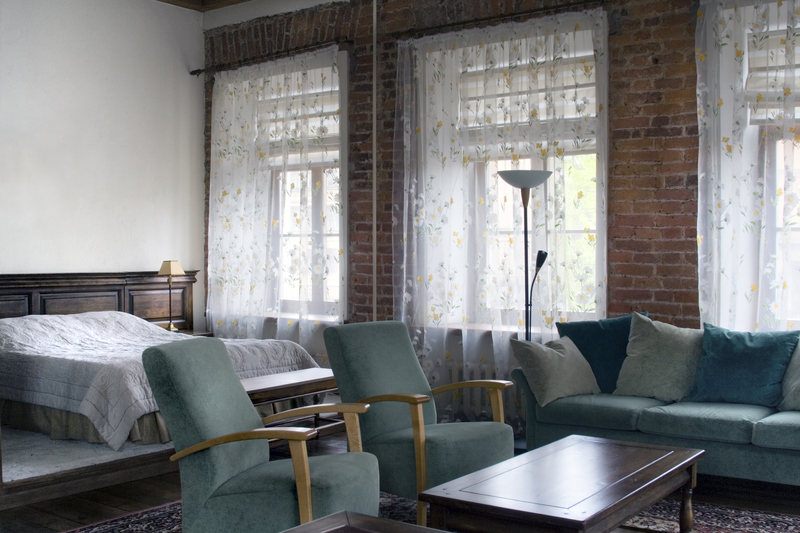 Everything about this space says “comfort” from the dim lighting to quality wooden furniture. 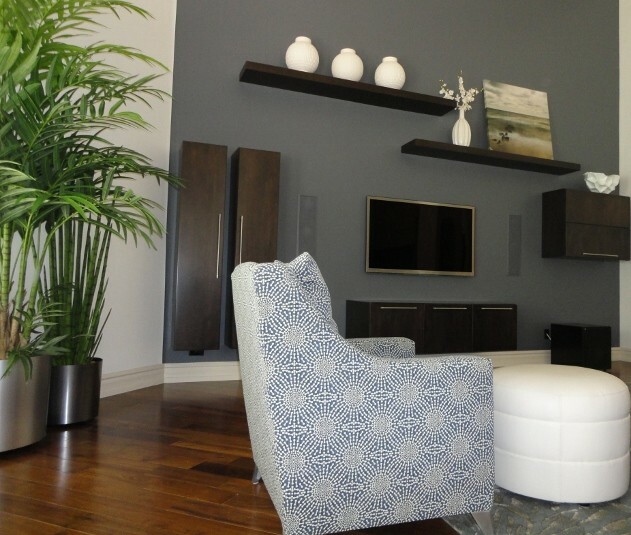 The office looks busy yet homely and is perfect for those homeowners put-off by minimal and new-age designs. Avoid the clinical look and opt for a more cosy office look for the winter months. 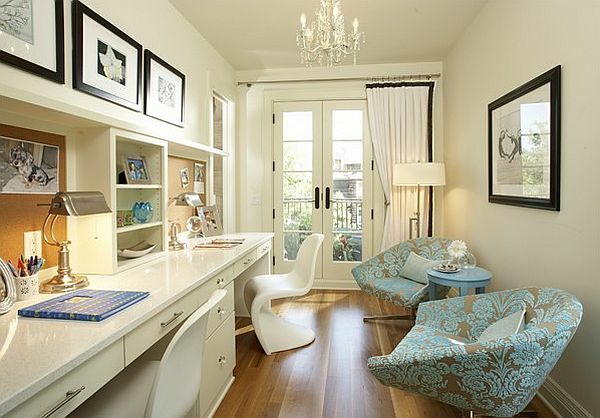 This room is bright, light and great for both desktop working and chilling in your break. The plentiful storage space guarantees to keep your desk free from clutter and makes you want to work from home! Add quirky pieces and wall fixtures like inspiring pictures or quotes for encouragement too. Keep bang on trend with designer pieces such as Verner Panton’s S Chair and add a touch of modern glamour to your warm interior design. When your home is overcrowded with your partner, room-mates, kids and pets it’s sometimes nice to get away from it all to concentrate on work. 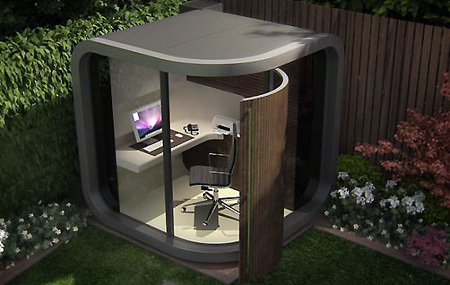 Thankfully, the Office Pod is here to help and advertises itself as a great way to “separate your office from the home; an easy to construct shelter that provides both style and functionality”. Although quite a tight fit, you will comfortably squeeze everything you need to work from home in one compact booth. Although the English weather doesn’t usually permit it, the Royal Horticultural Society made a rooftop workplace perfect for the summer months. 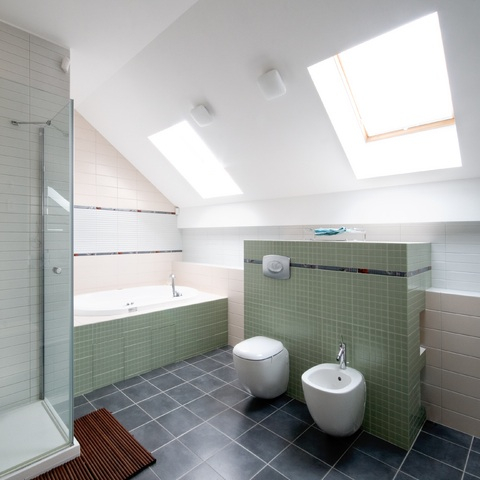 Sponsored by RBS, the modern design from Patricia Fox was inspired by the abundance of underused roof space in London’s most popular business districts. 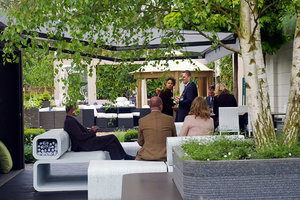 The ‘office garden’ has various sections depending on staff needs; hanging chairs for making calls and browsing the net, a “pick your own herbal tea bar” for thirsty office workers and a canopy complete with projection screen for conference calls and presentations. Read more about Patricia’s designs here. Color is back! Kohler one of the most widely known names in bath and kitchen fixtures including sinks, tubs, toilets, faucets, showers and more has partnered with renowned designer Jonathan Adler to launch a new line of kitchen and bathroom sinks in an unexpected color palette. 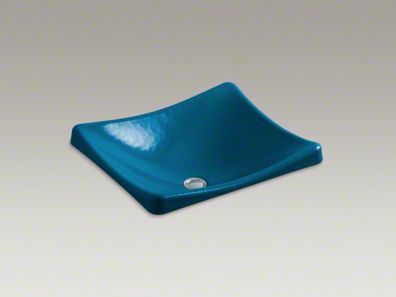 S Interior Design is looking forward to designing a kitchen or bath with beautiful white quartz counter tops and one of these colorful sinks . 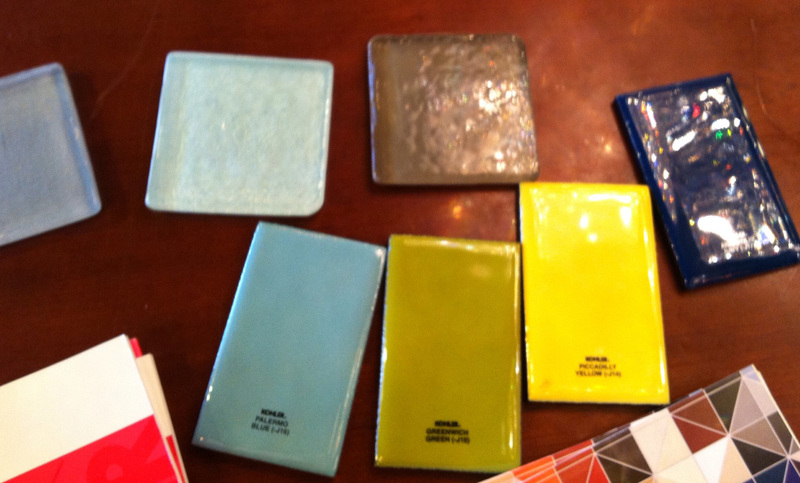 In addition to the 4 Jonathan Adler special edition colors, Kohler has 29 other color options to choose from.